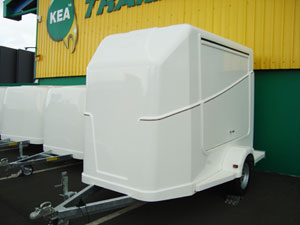 Kea fibreglass fully moulded shuttle trailers are a lightweight but strong construction with no joins, rust or warping. The non-slip floor is easy to clean. 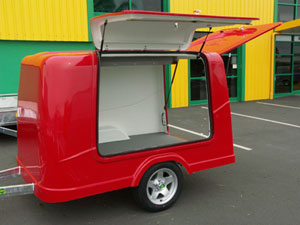 Sealed lockable doors on gas struts make this the ultimate enclosed trailer. Also available in different colours to suit your car, team or business. Click on each trailer image to find out more about it. 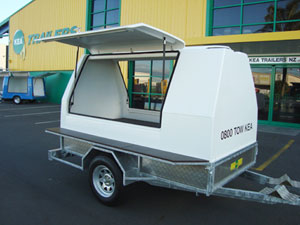 Contact us to discuss your trailer needs.